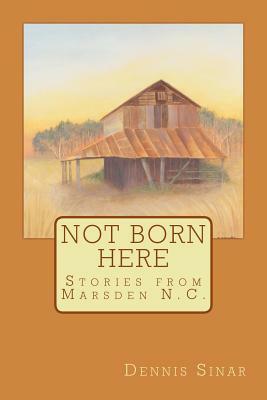 A collection of short stories about a fictional Southern town, Marsden N.C. Humor, foibles and heartwarming stories make the town real and the inhabitants memorable characters. The characters move through their days in a small town a daughter learns a secret about her dead mother, women goes through the stages of love, hopeful, love found and just as quickly lost. Roger learns something new about his wife's Jimmylegs and offers fine points on judging a chili competition. This book came about because of genuine characters in a small southern town. Their stories, mostly true, highlight aspects of Southern personalities. Most regional short stories highlight qualities of northerners, but this book describes the humor and feelings of residents of a small southern town. The model is of Garrison Keillor's many novels about Lake Wobegon.